Alameda Auto Care Center in Alameda, CA 94501 ensures your vehicle is both operating properly and looks great. Contact us at 510-865-7872 or send us an email to find out what we can do for your vehicle. For routine vehicle repairs, see our general auto services. If you've been unfortunate enough to have a vehicle accident, you've seen just how quickly a great-looking car can lose its luster. Fortunately, the collision experts at Alameda Auto Care Center can restore it to its original state! Our experts will remove dents; fill, grind, and sand affected areas; and apply matching paint to your car's body. We will restore the structural integrity of your damaged vehicle during the repair process. Call us or visit our shop today. The frame is the main structure of a motor vehicle and all other components fasten to it. The frame is usually made of very hard and strong metal to withstand stress in case of a collision. However, this does not mean that the frame is 100% resistant to damages in a collision. In some cases, a collision may damage the car's framework. When this happens, the other body parts attached to the frame also suffer. To get your car back on the road - after a collision - have its framework worked on by experts. At Alameda Auto Care Center, we have experts who can work on your car's framework to make sure your car goes back to its pre-accident state. For fast collision repair services, contact us at 510-865-7872. Your vehicle needs hard parts such as Cases, Drums, Hubs, Mounts, Planetaries, Pressure Plates, Pump Assemblies, Shafts, Sun Gears, Supports, and Valve Bodies. Although hard in nature, the hard parts could be damaged during a collision. When this happens, visit Alameda Auto Care Center for professional services. Painting provides a decorative and protective layer to your car. In addition to providing personality and uniqueness to your vehicle, this layer protects your car's bodywork from corrosion. During collisions, a car is susceptible to scratches and dents. When this happens, you'll need to have your car patched and repainted. 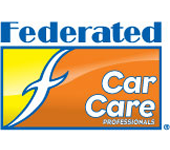 To have this done professionally, contact Alameda Auto Care Center's expert mechanics. The collision repair industry understands the importance of welding for consumer safety. Performing a safe and proper weld requires more than technician training and skill, however. The proper shop infrastructure and equipment are also essential. At Alameda Auto Care Center, our technicians are provided with state-of-the-art equipment and are trained on the latest techniques.